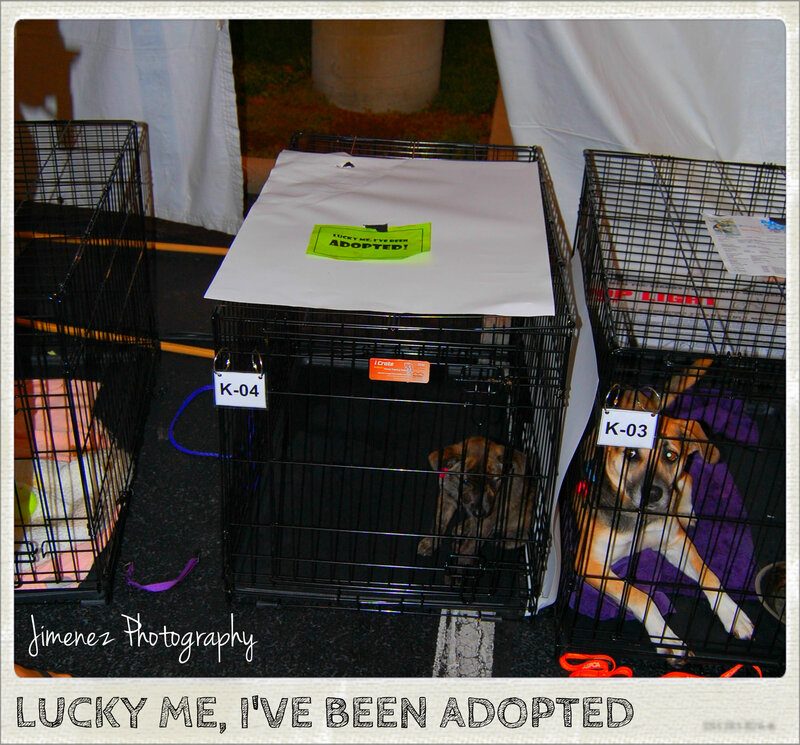 We spent a lot of time walking around meeting & greeting all of the dogs & puppies and when we saw a new batch of animals arriving, we knew that we had found our new puppy. 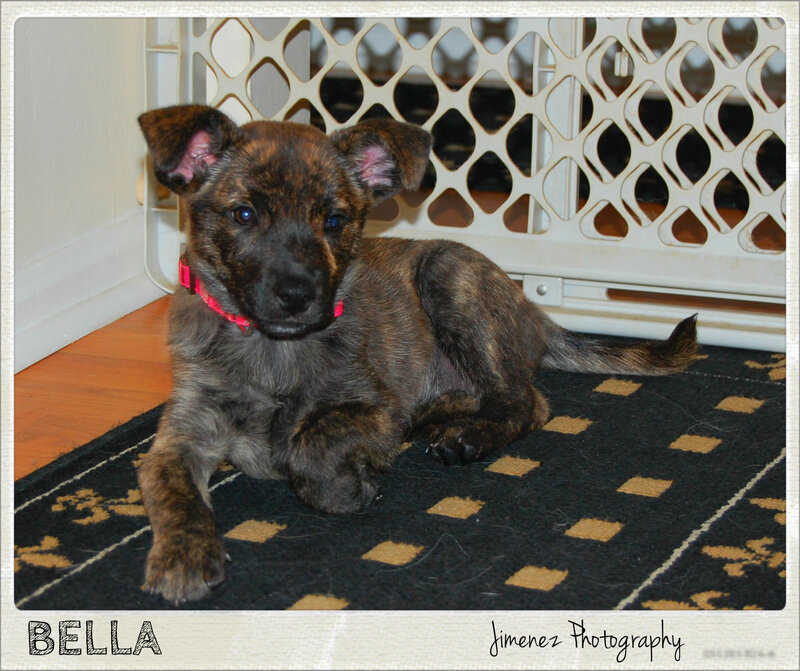 Bella, is what we named our new puppy, but it took us until Saturday morning to figure out what to name her. She arrived in one of the vehicles from the APL and we saw her on the lap of one of the employees, and when she was brought into the tent area, we followed her. We could not take our eyes off of her. 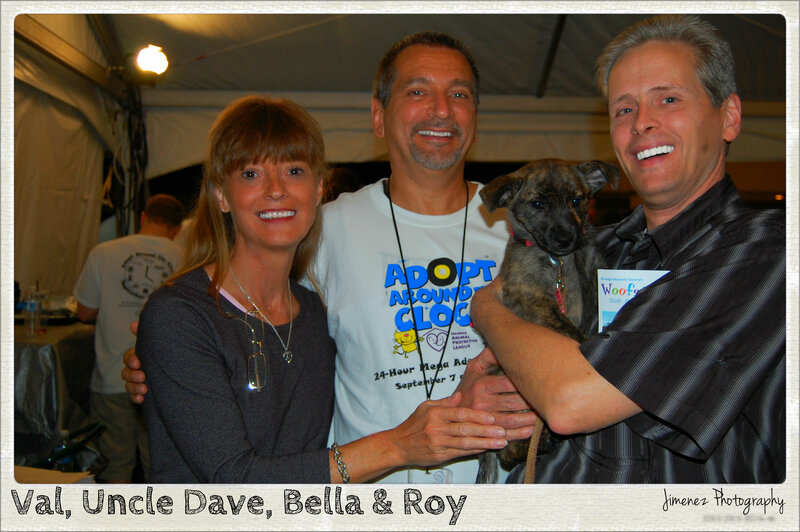 We ran into Uncle Dave from the APL who helped us with our adoption of Nikita two years ago and he took Bella out of her cage so we could hold her. It was love at first sight! 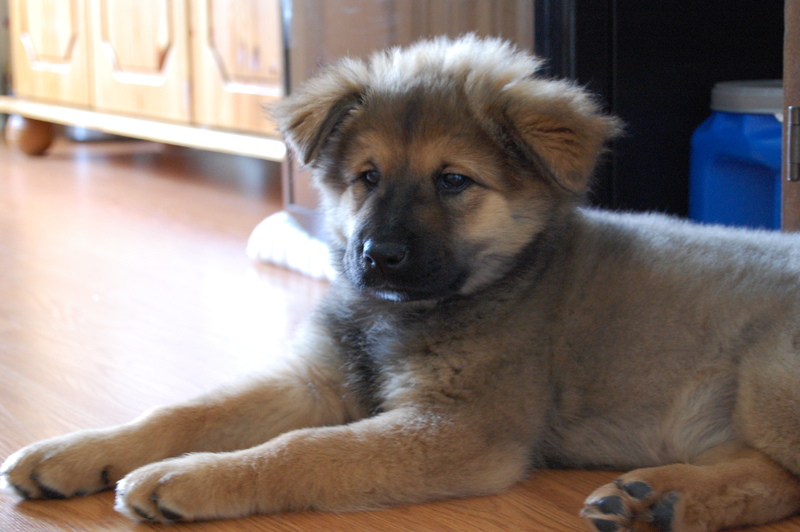 We did a lot of thinking while we were there and wanted to make sure we were doing the right thing, as we had Nikita on our mind and wanted to make sure that she would be ok with a new puppy in the house, but after deliberating a bit, we decided to adopt Bella. 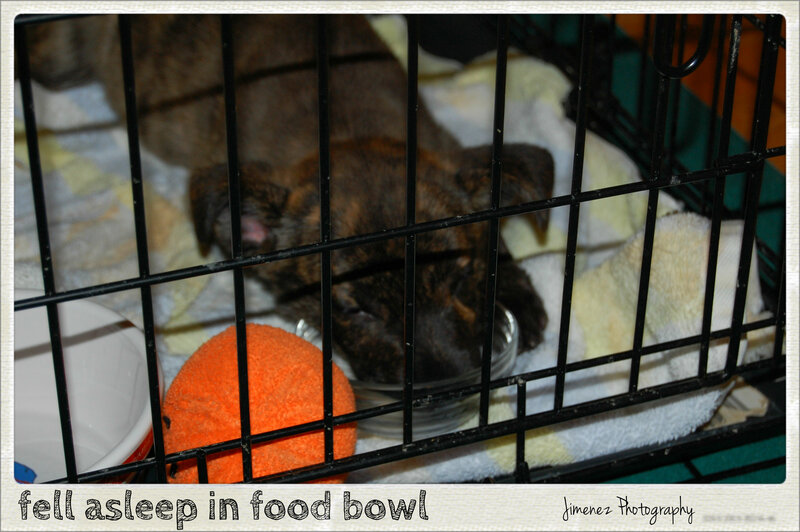 We had to head into PetSmart to grab a bag of puppy food since we did not have any at home, and PetSmart had given us a lot of coupons with our adoption, so our first bag of food was on them! Thanks PetSmart! Bella was already drawing attention from everyone who walked by us as they all had to pet her. 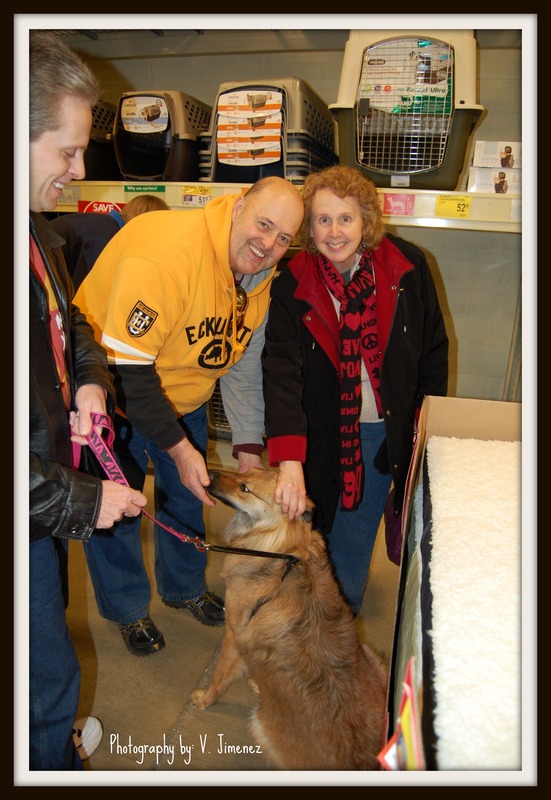 It seemed like deja vu all over again, as this is what happened when we walked through the store with Nikita just two years earlier. 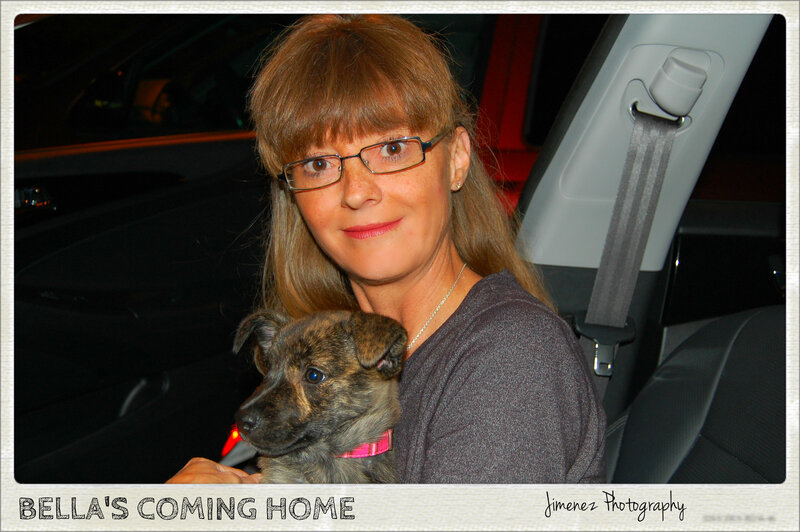 We were finally on our way home with our new puppy, and we found out that not long after we left a huge thunder storm hit and a lot of the tents were blown down and they had to move all of the animals inside PetSmart, but all the dogs were safe which was good to hear. As for me, I have not been able to sleep much since Friday night, since I have nominated myself to take Bella out every time she woke up to cut down on the accidents in the house. I nominated myself so Daddy could get a good nights sleep as he has a very important job and we don’t want him heading into work with little sleep. We love Daddy so much & want to thank him for everything! 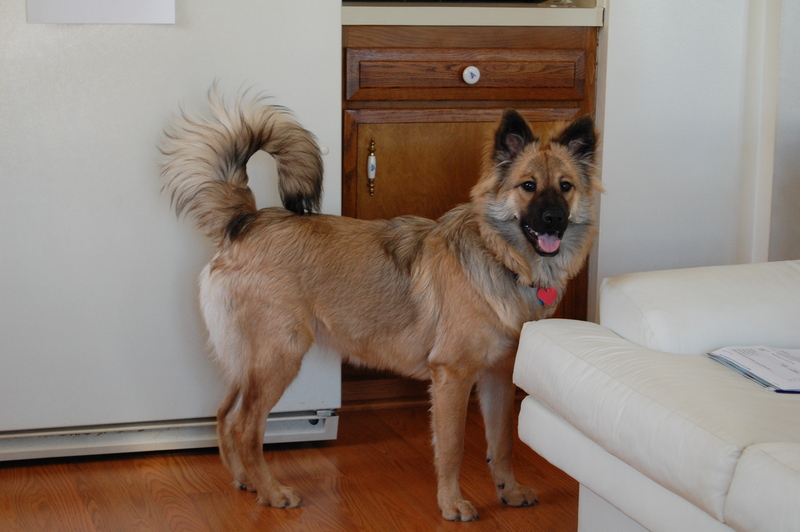 We were lucky when we adopted Nikita, as she did not whine or whimper not even once from the first day we brought her home, but Bella is a completely different story. Friday night was hell from all the crying, but with each day that has passed, she has gotten a lot better at night and sleeps quite a few hours before she wakes up and needs to head outside. 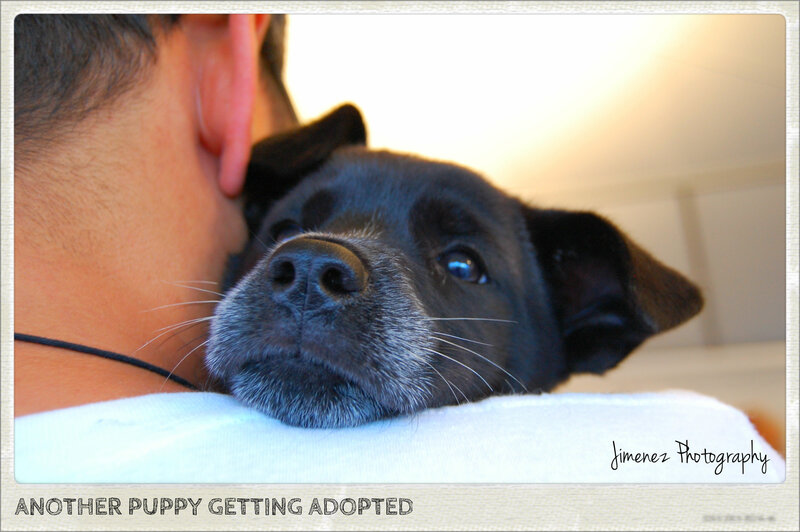 Phew, I knew this was not going to be easy, but we did a good thing and gave another little puppy it’s forever home. 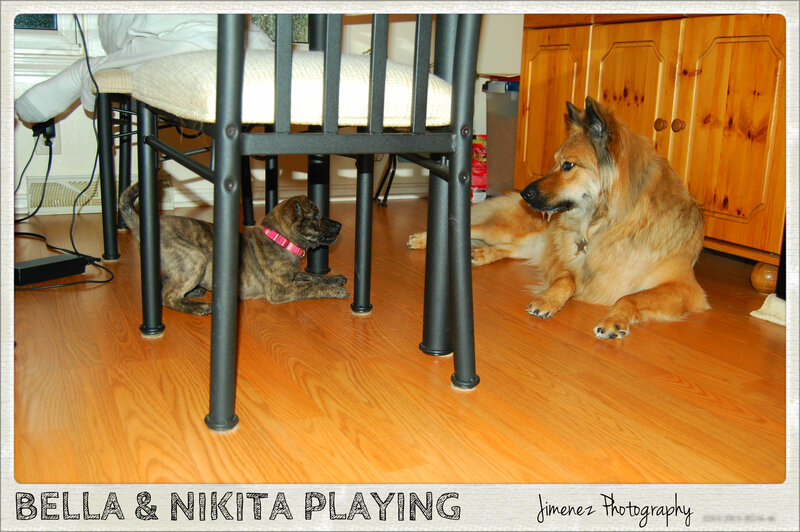 Nikita took to Bella quite well, and was wagging her tail when we brought her into the house for the first time. 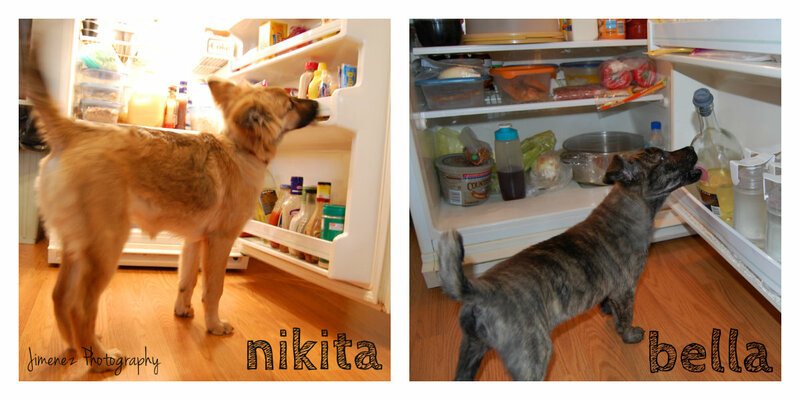 It will take a little time for her to get used to having another dog in the house, but we feel that she will be ok. We had noticed that Nikita was a little anxious or stressed a little because she was drooling all over the place like a Saint Bernard. 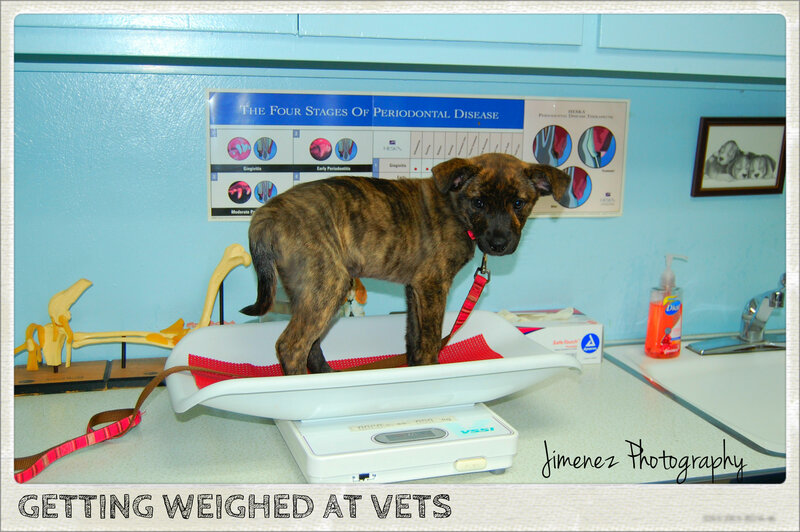 When we took Bella to the vets on Saturday for her first check up and she weighed in at 8.6 pounds, and Nikita got her nails clipped while we were there, we had asked the vet what the drooling was all about and he confirmed that she was a little stressed with the new puppy, but it will pass. As of today, Nikita has not drooled, and that is a good thing! The one thing though that Bella is doing to Nikita is running behind her and biting Nikita’s fluffy tail and Nikita hates this & runs like mad to get away from her. Hopefully in time, Bella will be cured of this so she does not stress out Nikita. 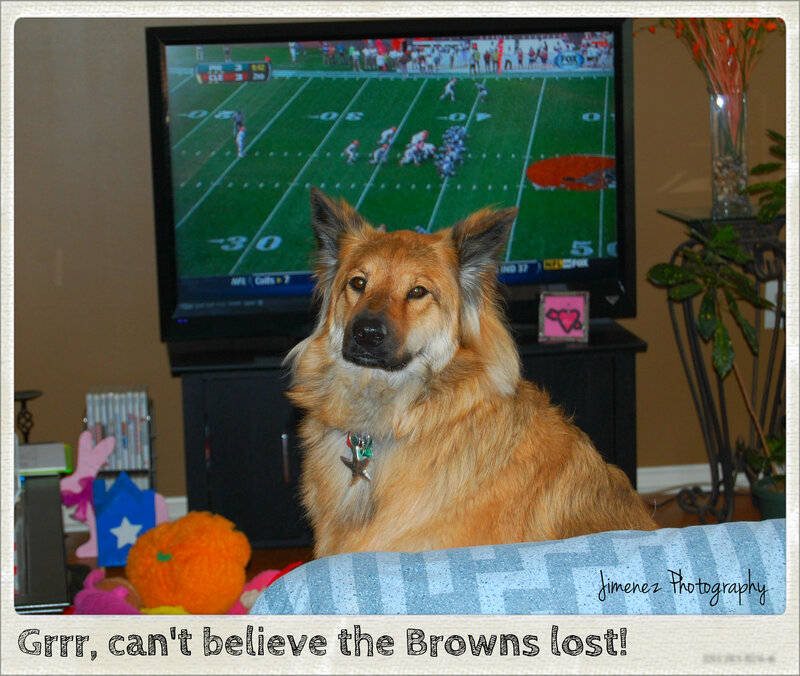 On Sunday, Nikita took a little break from Bella and sat down on the couch to watch the Browns Game. The Browns were playing the Philadelphia Eagles and unfortunately, they lost by ONE POINT! Ouch, that hurts. 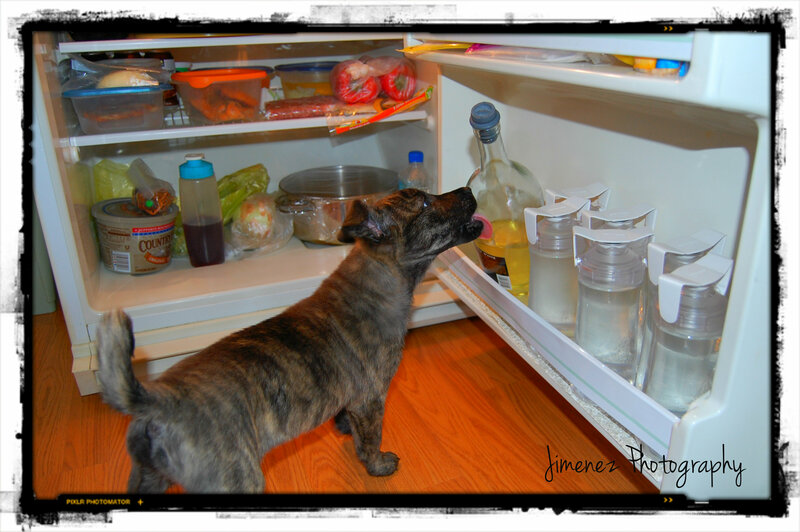 One of the neat things about Bella is that she is portraying some of the same traits that Nikita did when she was a puppy, as climbing into the fridge as Bella did this and went straight for Daddy’s wine bottle and started licking it (just leave some for Daddy when he gets home). 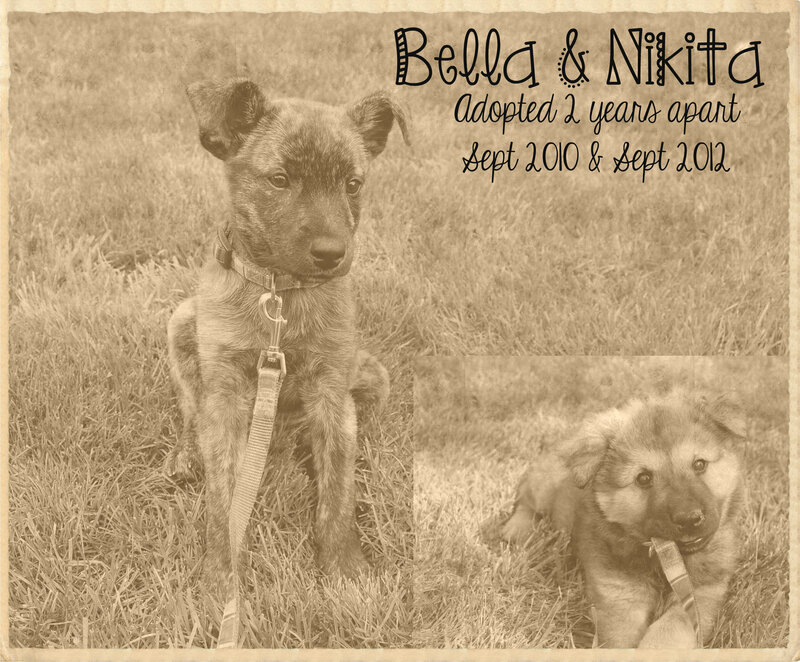 So, stay tuned as we will have many more stories to tell with the addition to our happy home! 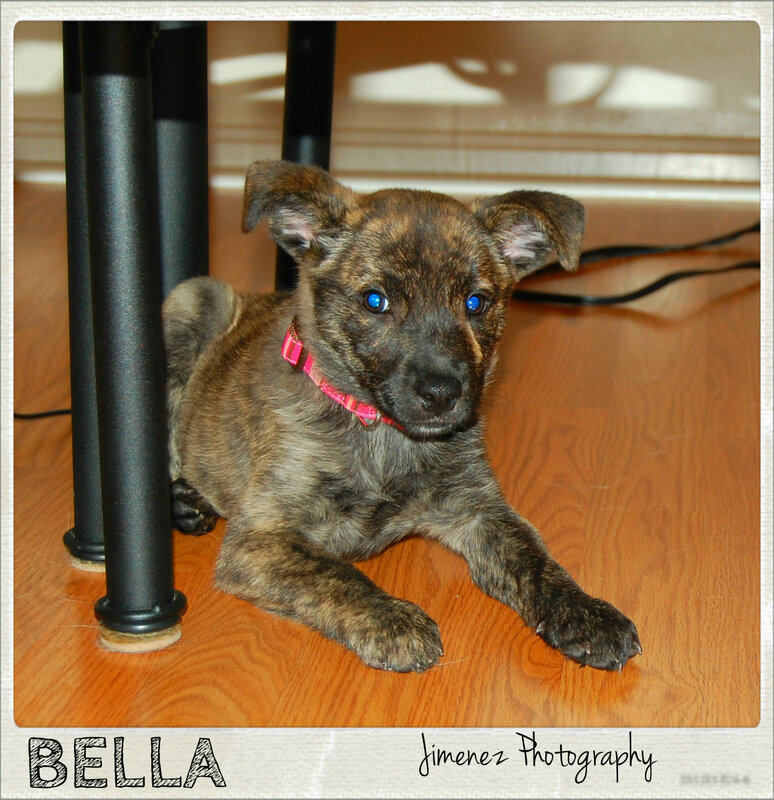 Enjoy our small sampling of photographs of Bella, as we are sure that there will be many many more to come! 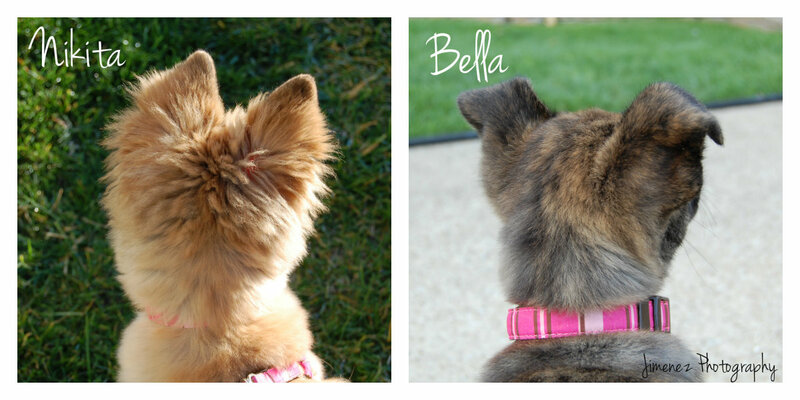 Enjoy & welcome Bella to her forever home! 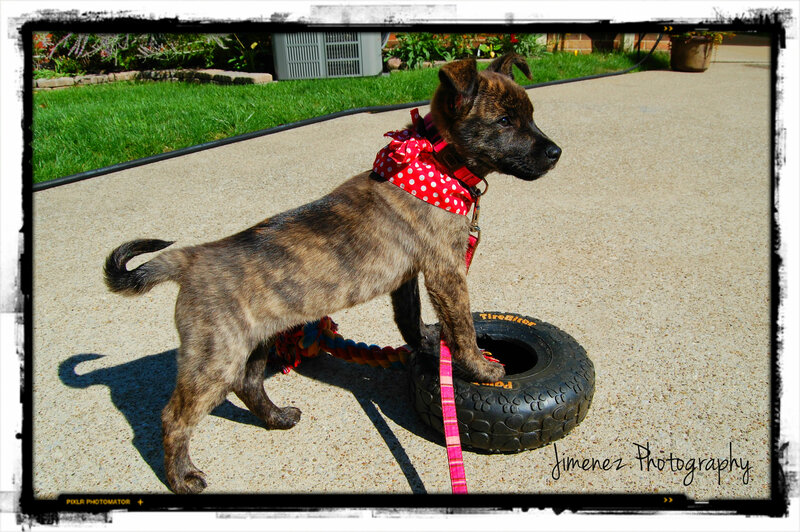 Yesterday, I headed off to PetSmart with Daddy & Mommy and boy was I one happy puppy to be heading to my favorite place, PetSmart – “it’s like a kid in candy shop” atmosphere for us dogs! Upon entering the cool automatic sliding doors in front of PetSmart, we got to meet this nice guy in the yellow shirt. I ran right up to him for a pet and he said “Hi, I’m the PetSmart Greeter“. Woah, wait a minute! 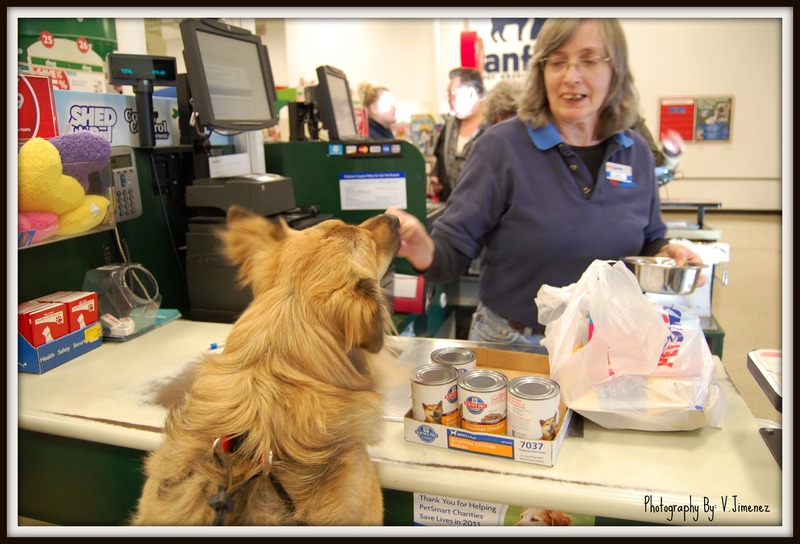 I thought that I was the unofficial PetSmart greeter! (lol) I then ran right up to the first register and actually pushed some customers away so that I could jump onto the counter for a treat. Gotta get my treat upon entering the store. Everyone, of course, laughed at my shenanigans, but that is what I do, it’s what I know and what I have done ever since I got big enough to jump up onto the counter. But I know where I get my treats from! 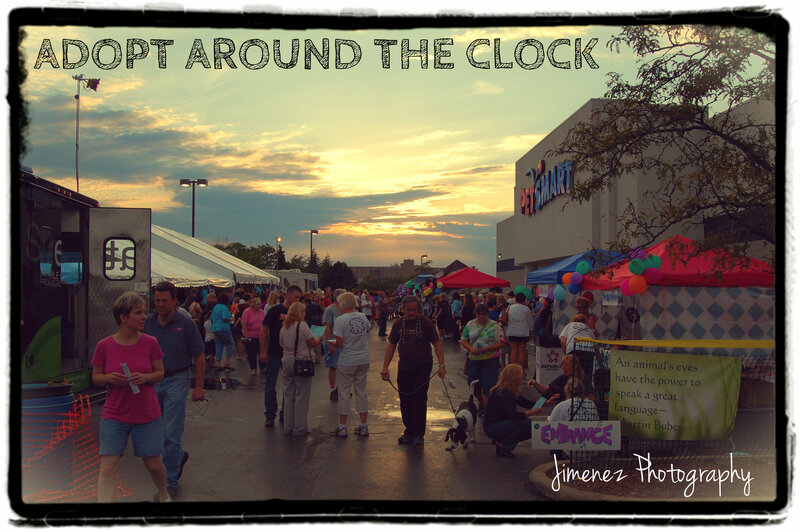 We continued throughout the store and got to meet many more nice people! We got to meet this really nice lady in the cat food area and she gave me a lot of attention. Boy she was really nice! I just sat right next to her side while she petted me and gave me attention. Aw, I love the attention and some times feel that every person I pass, “they” have to pet me! It’s funny that I do that, but I love meeting people and love all the kids I get to meet. We ran into the nice guy in the yellow shirt and his wife again and Mommy snapped a photo of us. He told us that they were getting a new puppy, a yellow lab, that day and were picking up all the essentials they needed for their new arrival! How cool is that! We hope that he contacts us and sends us a photo of their new little furry pup so I can show you their new four-legged friend. 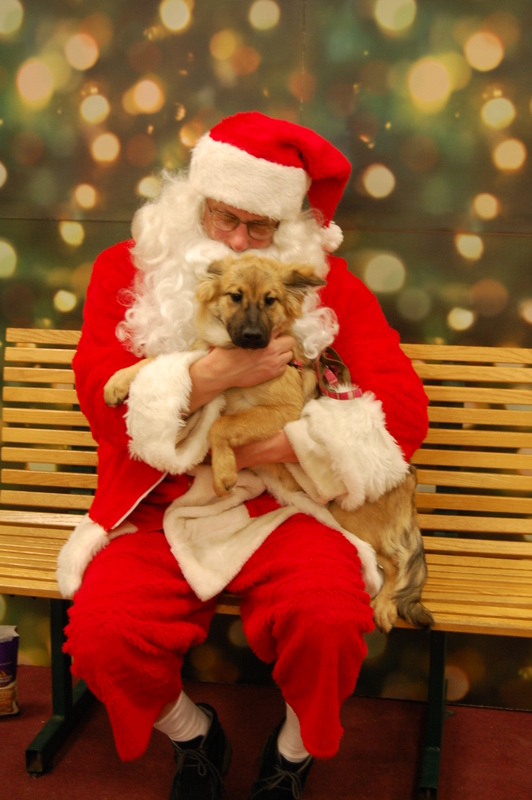 I remember the day when I was adopted and how Daddy and Mommy walked all around PetSmart and picked up all the things that I needed before we headed home. While walking around the store, I got to meet a lot more people and also ran into “Mike the Nutrition Guy” who remembered me which was so cool. Mike always gives me attention no matter how busy he is! All in all, it was a good day, another successful trip to PetSmart, and more great friends that I got to meet. I love going to PetSmart as I feel like a kid in a candy shop, or as my Mommy would say when she heads to Staples (as she loves office supplies & sticky notes). You can only imagine what I did when we got home…slept like a baby! 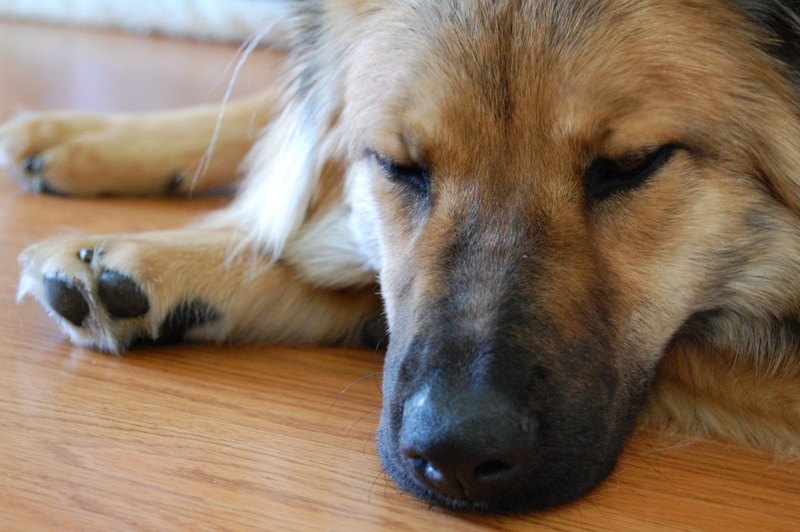 Until next time… we hope that we run into that nice guy in the yellow shirt and their new four-legged best friend. We’ll be watching for you! Hey everyone! It’s me, Nikita! I just wanted to announce that yesterday I hit 6,000 visitors. 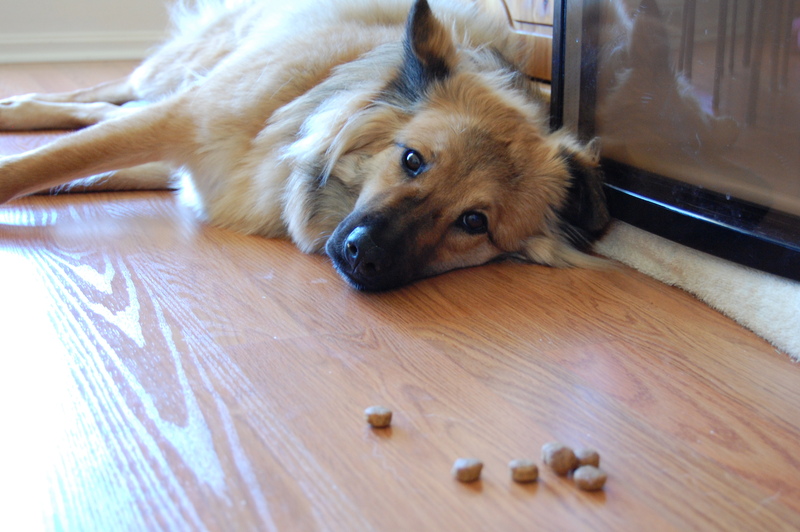 WOW, that is pretty good for a dog, eh? 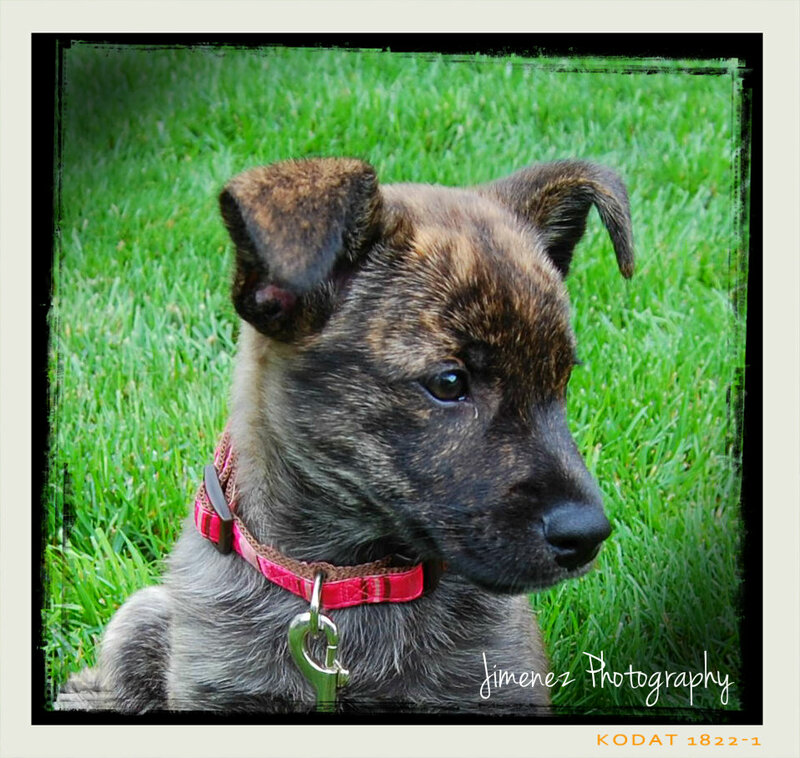 The funny thing is, is that I started this blog when I was adopted last year because it got hard and time consuming to email family and friends my photographs of me as a puppy, so I decided to start a blog where everyone could go to see what I was up to. Who knew that it would grow with leaps and bounds with so many followers in a little under a year, that is something that still amazes me. I am not sure as to what got you here on my blog, what you typed in as a search keyword and found me, or perhaps you saw my comments on someone elses blog & clicked over to see me, whatever the case may be, I want to thank each and every one of you for visiting, stopping by to read an article, or subscribing to my blog! I appreciate it so much! 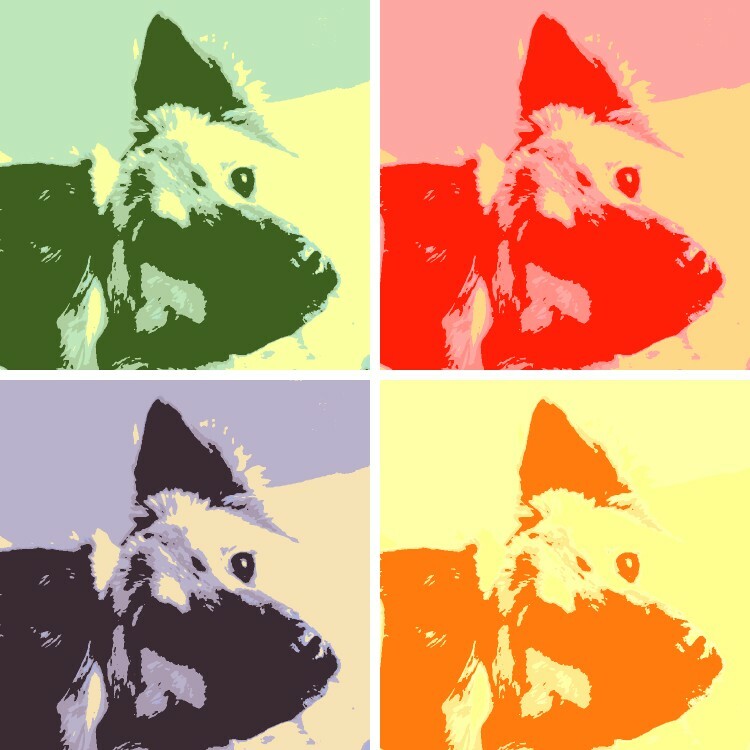 I promise to keep up the good work and bring you interesting articles, not only about me, but about us dogs and how we have fun in life. I have written important articles on what to do if we get stung by a bee (you need to check out that article & print it out for future reference), the importance of introducing all of my toys to you (the total amount of my squeaky toys have grown a lot lately! Toys to me is as important as shoes are to a girl! Can’t have enough of them! ), the importance of playing hard with your toys and how they can end up in the “Pet Hospital” on top of the fridge until Mommy fixes them, (the insurance deductibles have been exceeded on some of my toys), how to wait for your Daddy by the front window every night when he returns home from work (then you go crazy when he walks into the house), how to bark properly, why eating mulch is not a good thing for us dogs, how fun it is to eat hail in your yard after a storm, and lots more fun stuff! So, stay tuned, visit often, and follow me as I grow up! Thanks again for visiting! I’ve been one busy puppy today! I just finished giving NIKITALAND a face lift and upgraded to a new modern look! So what do you think? Do you like the new design? 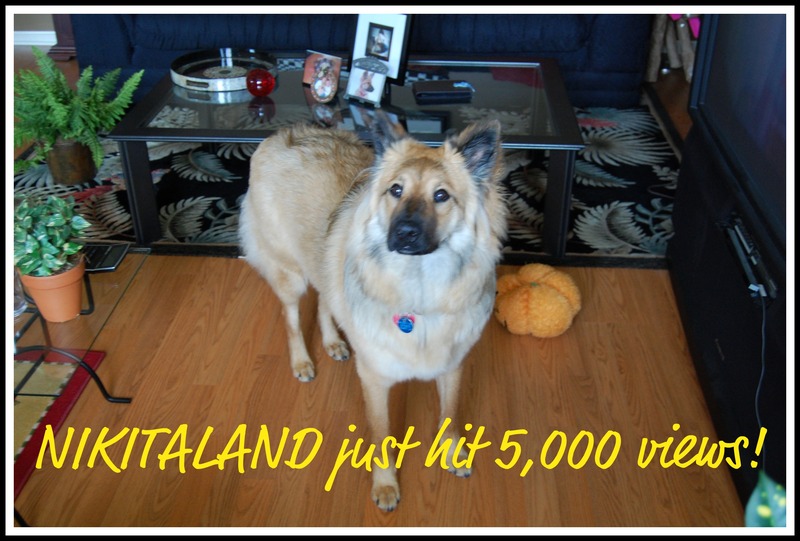 I am always trying to bring you FUN and interesting stories about my life and what happens every day, so giving Nikitaland a face lift was the next logical step. So enjoy the upcoming stories, as I am always up to something! 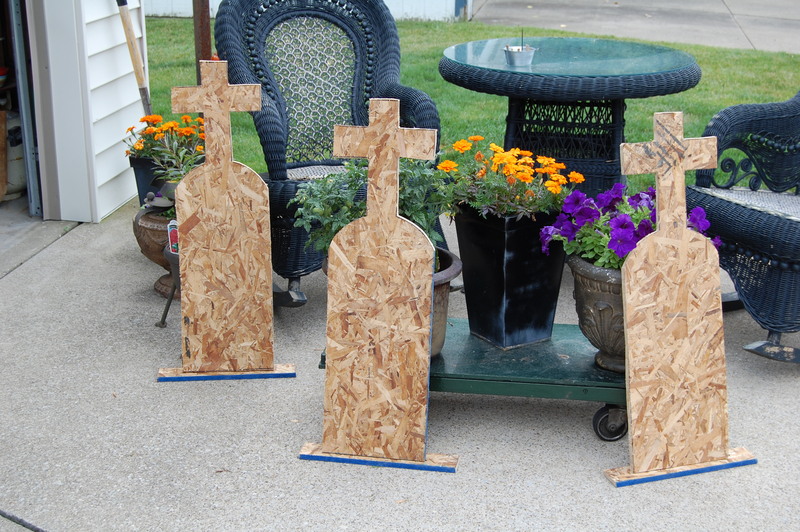 While I was busy working on my blog, Mommy was busy working in the garage on creating tombstones for Halloween. Yep, we plan early around here, you have to, in order to be ready for the witching hour. If you remember anything about what we did last year for Halloween, you will remember that it took Daddy and Mommy and entire day to setup all of their props, tombstones, flood lights/black lights, ghosts & goblins and their animatronic props, just to be ready in time for all the trick-or-treaters – – only to have trick-or-treat time end in just a few hours. Then, they had to bring everything back into the house on the same night because a lot of their props are too expensive to leave unattended outside. It is a lot of work, but they enjoy it. 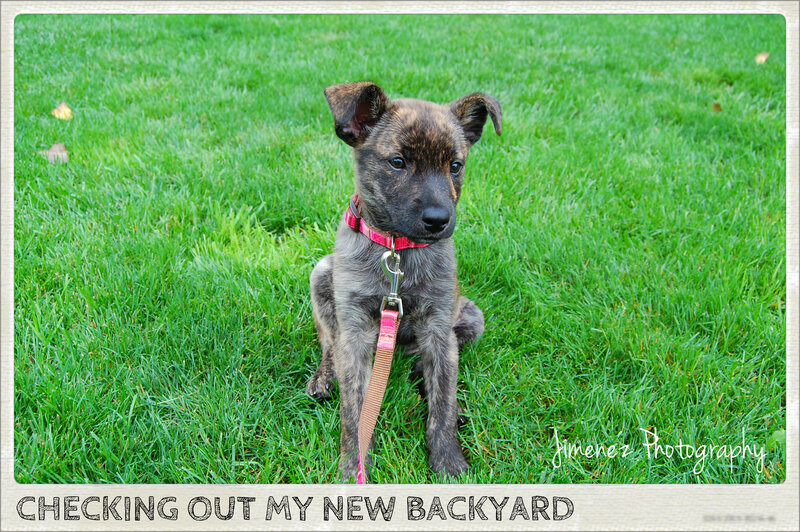 Just when you thought you heard it all, blogging takes a new leap….and goes to the dogs! 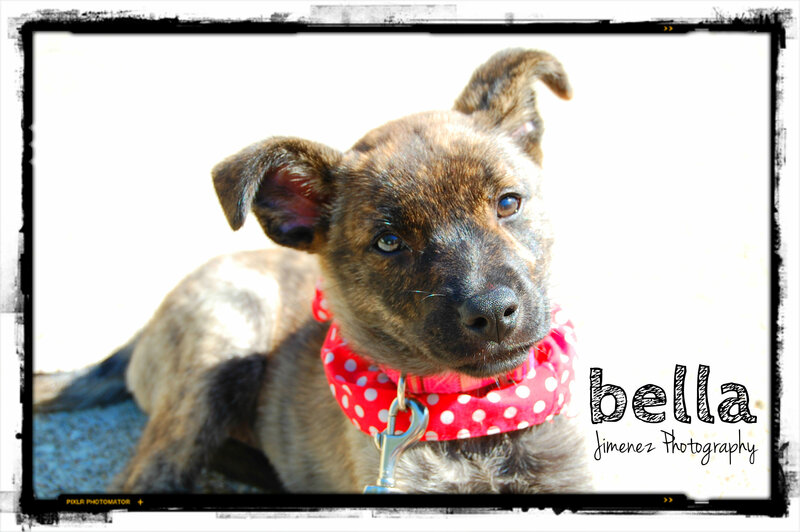 It’s a dog eat dog world, well, not actually, but us four-legged friends now have our own blog sites, like me! 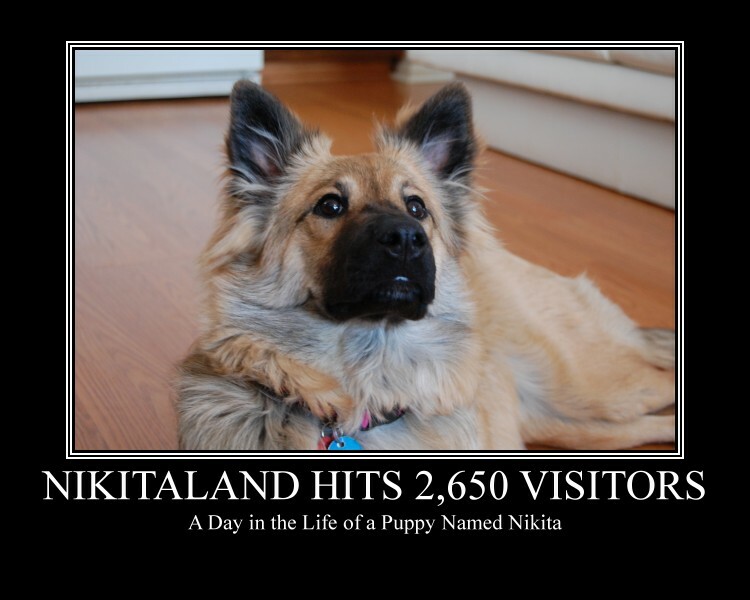 Nikitaland was started when I was adopted in September of 2010 and was meant to share photos of me growing up & doing silly things for friends and family, but it has taken on new heights and has grown leaps and bounds since its inception. 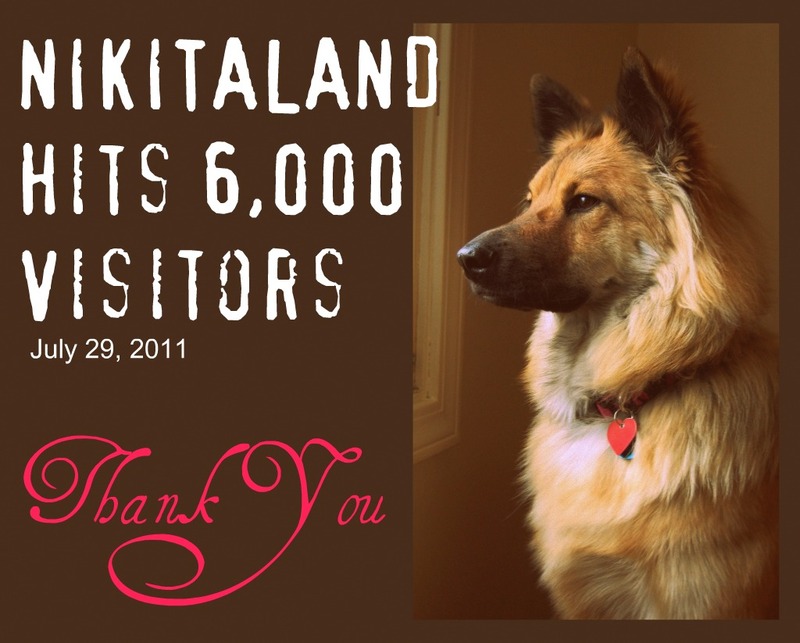 As of today, Nikitaland has reached 5,000 visitors in less than eight months with an average of 26+ views/day (some days has more than that too – as last Thanksgiving, I had over 186 views in just one day). In 2010 overall, I had 1,958 visitors and so far in 2011, there have been 3,045 visitors! WOW, that is amazing! I am so glad that I can share my life as a puppy with you, and will promise to bring you all the exciting stories of my life. Thank you for keeping up with me, staying in touch, and watching me grow up! Mommy and I are going to spend some time together today outside picking weeds from the flower beds, and planting flower seeds since it is nice and sunny. Daddy got me a new lead tie-off for the backyard, so I can now run around all over (& get into trouble – or into the mulch) and chase my ball or frisbee. Hopefully Mommy can get some good photographs of me sunning myself! 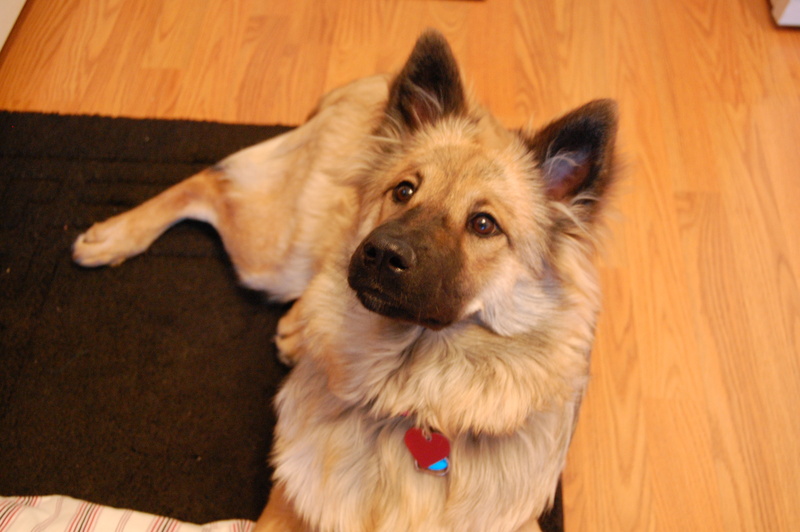 I’m 7 Months Old Today – Hurray! I could not ask for a better day! It is warm(er) than usual, sunny, I’ve got more toys than I can play with at one time, I have a great Daddy & Mommy, I have a warm bed to sleep in at night, great food to eat, and now, I turned 7 Months Old today! Hurray for me! I also noticed today that I have had over 2,650+ people view my blog, and I want to thank each & every one of them… thank you, thank you, thank you….this could take longer than I thought, so I will thank you all at once! 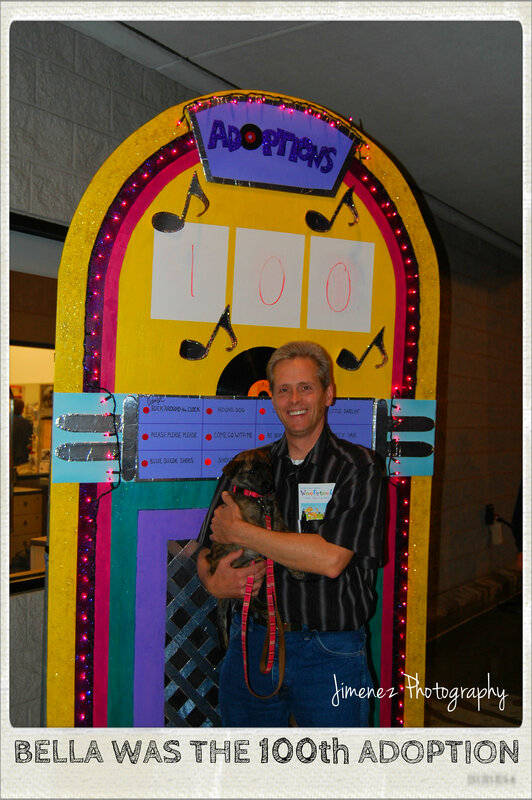 I have had a lot of accomplishments since I was born and have been one busy little puppy! For example, I am getting interviewed with my Daddy & Mommy on Sunday for the article that is going in the May issue of Cleveland Magazine, and next Saturday we are doing a photo shoot with a photographer for this issue. How neat is that? Just make sure you pick up the May issue to see me! What a list, eh? 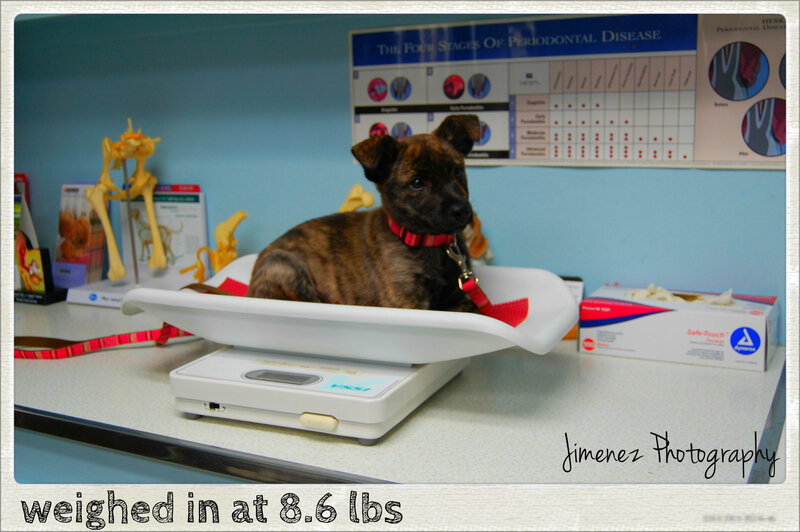 Just imagine, this all started for me because my Mommy started this blog for me because Daddy & Mommy love me so much! I am just a normal puppy, enjoying life, but without the help from the Cleveland APL, I would have never had the chance at the great life I have now. 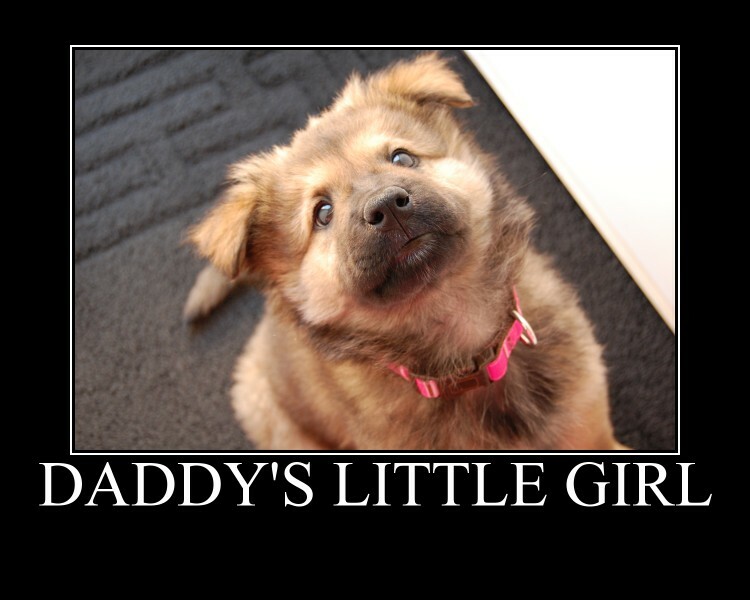 They gave me the head start in life that I needed, and Daddy & Mommy gave me a good home & lots of love. 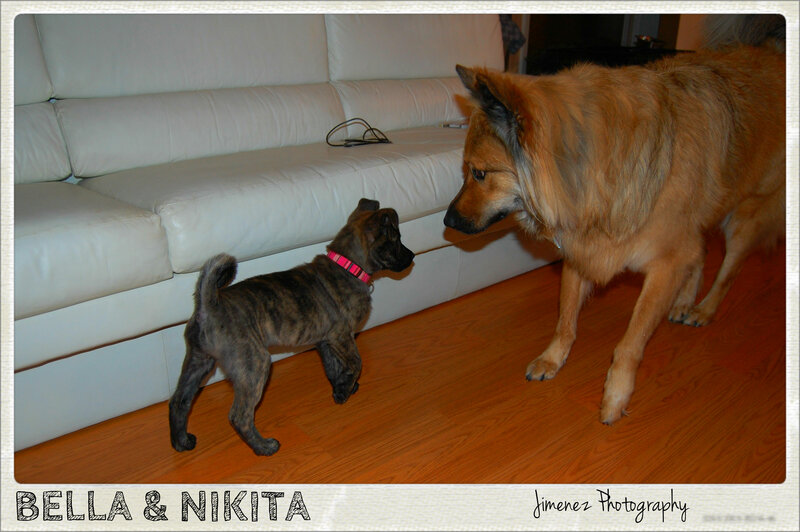 Thanks to all of you, reading my blog, for following me and keeping up with what I am up to – a day in the life of a puppy named Nikita! Tell all of your friends & family too to check out my blog & watch for what I get into next! Water taste so much better from the sprayer! I am always looking for more things to get into, but this time, it is a good thing. I have found a new passion – the “kitchen sink sprayer”! Everytime Mommy turns on the kitchen sink sprayer, I jump up on the counter and lick the waterfall of cold goodness coming out of it! This thing is really cool, wish I had a waterfall in my water dish like this, but everytime I hear water flowing, I have to pee. Does that happen to you? I still loved being vacuumed, I think that will never change! Daddy got a great video of Mommy vacuuming me the other day, and I just had to share it with you. Click here to watch the video! I am going to go take a nap now, I just got in from running around in all the snow (YES, it snowed again last night – another 3 inches) I LOVE IT, but Mommy is anxiously awaiting the arrival of Spring. Are you? I had such a fun & busy weekend. Saturday, I took a long drive with Daddy & Mommy because my Daddy had to take a certification test. He was taking something called a Certified Rhythm Analysis Technician Examination and guess what? He passed with flying colors! (knew he would because my Daddy is so smart) He is a Director of Arrhythmia Services at a local company and I watch him every weekend taking phone calls from the technicians at his work and logging into his computer to interpret the strips from patients. 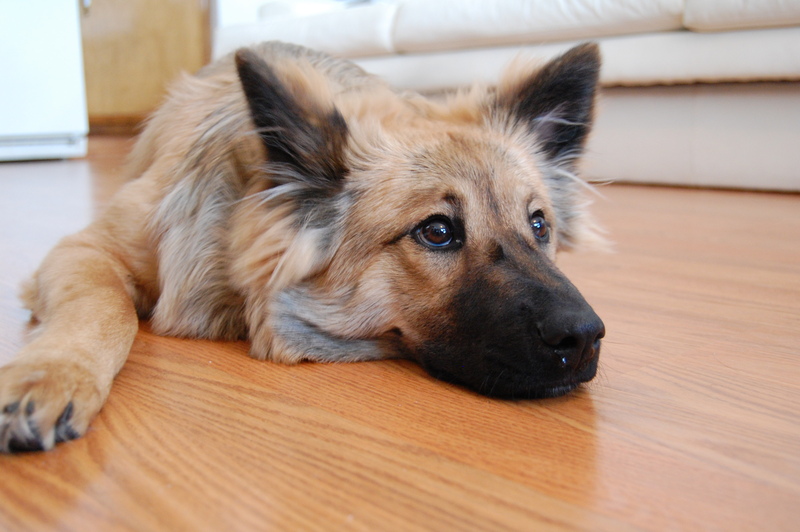 Wish I knew what Daddy was looking at, but it all just looks like a bunch of squiggly lines on his computer – all I want is Daddy to throw my ball and play catch with me. He usually does when he gets done with his work. Then on Sunday, we all went to PetSmart where I got a new squeaky toy and a new Nylabone (Thanks Daddy for buying these for me!) 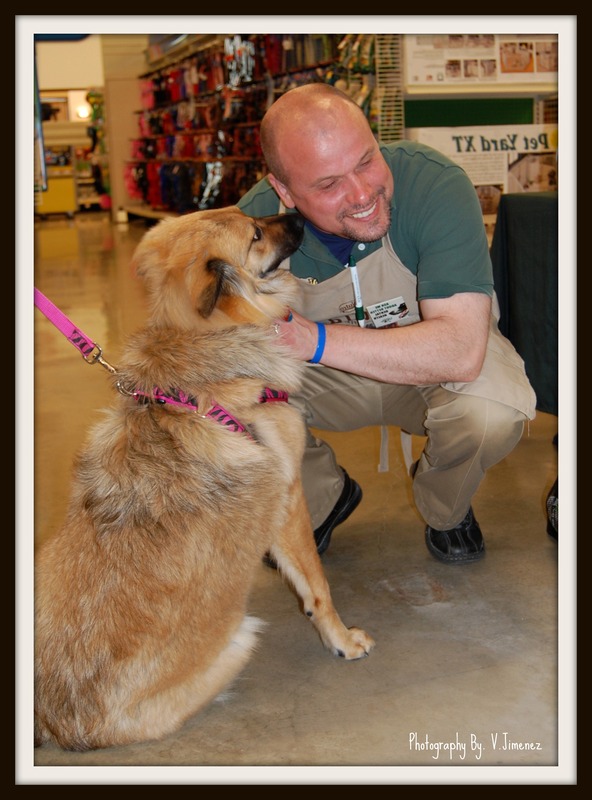 I always love seeing my friends at PetSmart like Brett and Jane, they are so nice to me! Then on Monday, Mommy snookered me…. 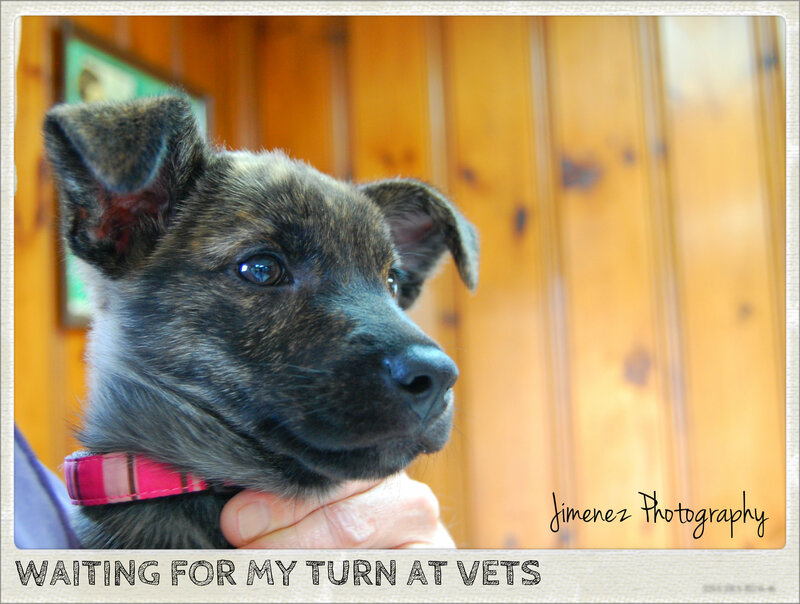 she said that we were going to take a ride in the car, but we ended up at the VETS (again). When am I going to learn? Geez. Anyhow, Mommy told me that we had to go because I needed some more Revolution and said that my nails needed to be clipped because they were getting so long. Man, I hate it when I get my toe nails clipped – I actually peed when they cut them, I was kinda scared because my Mommy was not holding me this time to comfort me. That’s ok, we were only at the VETS for a few minutes, (Thank God) and then I got to ride in the car again! I love sitting in the front seat, because I can see everything! I even got to WOOF at a bunch of people looking at me in a bus! I bet I scared them for sure! What will I get into next? You’ll have to wait & see! LOL Have a great day & bundle up, baby it’s cold outside, unless you are covered with fur like I am! WOOF! 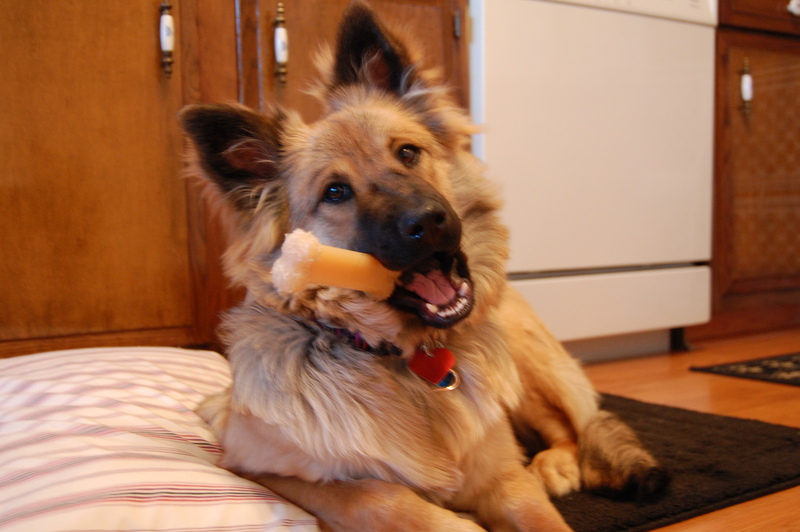 My new Nylabone Daddy bought me! I still love every evening when it gets to be “that time“, and I hear Daddy say “It’s time for bed“, because I run to get my little blue & white squeaky bone and then head down the hallway to the bedroom, jump up on the bed, and wait for Daddy & Mommy! I love sleeping with them so much, because it makes me feel so loved. I just snuggle in between them and fall asleep. Then, every morning like clockwork, I wake up and walk over and smack Daddy on the face (not too hard I hope) to let him know that I have to go outside! January and now February has dumped quite a bit of snow over here, and since Daddy & Mommy are running out of places to put all of the snow, they had to build me a snowy “Poop Pit”, well, at least that is what they call it. It is this really great fort that they made for me in the snow that has a narrow opening for me to run in, then it opens up into a huge square for me to do my business. Once again, Mommy explains to me to NOT eat the yellow snow! Although I don’t ever try to eat that yellow snow, I do have quite the fascination with ice balls! We had rain mixed with snow the other day and it made my Poop Pit an ice rink, so when Mommy took me out one morning and I had to do #2, I was shocked when I saw my doo doo just roll by me! I was just squatting there, minding my own business, and watched the doo doo roll downhill! Mommy was laughing so much when she saw that! I also love it when Daddy & Mommy finish with their dinner in the evenings because they love playing Wii Monopoly and I get to watch! Sometimes I sit between them on the couch and I love the weird noises that their remotes make, but mostly I love watching the TV and watch the little players in the game run around the screen. I try to catch them sometimes, but I can’t seem to get them. I also have some really awesome news! Judy from the APL contacted my Mommy & Daddy and asked if we would be interested in being interviewed for the upcoming May issue of Cleveland Magazine for a dog feature (about ME!). They said that they wanted to feature a “Happy Tale” of an adopted dog & cat. We agreed and a writer from the magazine will be contacting us shortly! Is that the neatest news you have ever heard? We think so! Thank you Judy for asking us and always thinking of us! I will make sure I smile pretty for my photograph! I hope everyone has dug theirself out of all this snow, but if you need any help, let me know because I am a good little digger! Hey Everyone, it’s me, Nikita! Check out my really neat stats that WordPress sent me regarding the GREAT JOB I have been doing since September of 2010, as that is when I started my little blog about my life as a puppy! 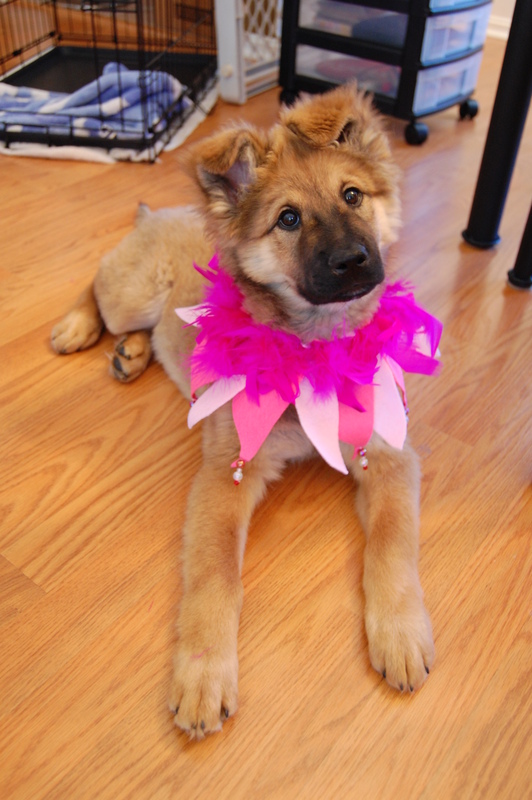 Thanks to all of you, my fellow followers, that helped me grow so fast & become the puppy that I am today! I love all of you & want to thank you for following me – keep up the great work in 2011! In 2010, there were 41 new posts, not bad for the first year! There were 125 pictures uploaded, taking up a total of 144mb. That’s about 2 pictures per week. The busiest day of the year was November 23rd with 160 views. 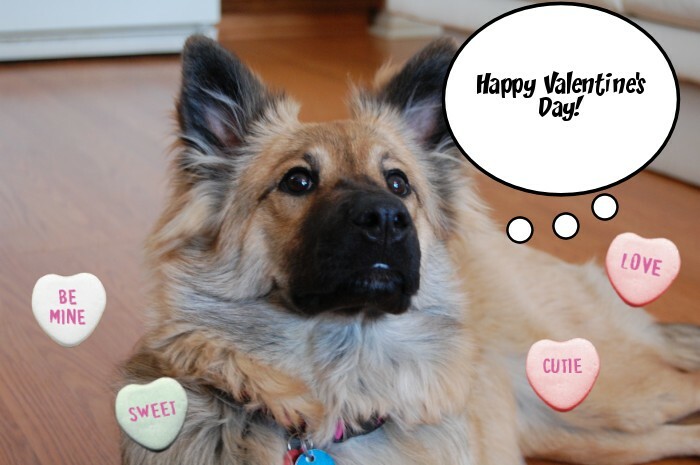 The most popular post that day was About Nikita. The top referring sites in 2010 were facebook.com, clevelandapl.org, thoughtsappear.wordpress.com, mail.yahoo.com, and clevelandapl.com. Some visitors came searching, mostly for nikita costume, nikita halloween costume, nikita halloween, turkey clipart, and blank letter from santa.